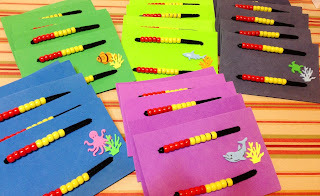 I found this idea on Donna's blog called "Math Coach's Corner," and I just finished making 25 of them for my 2nd graders next year. Yes, you heard me correctly, 2nd graders! 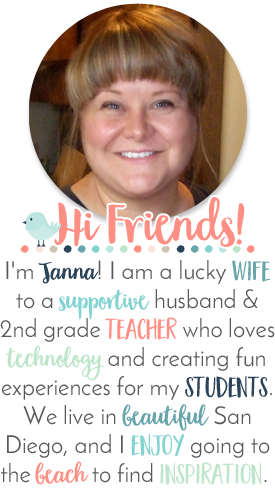 I am moving from 4th grade to 2nd grade next school year, and I am so excited!!! 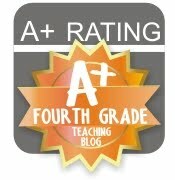 I LOVED 4th grade, but I am looking forward to my new little 2nd graders. 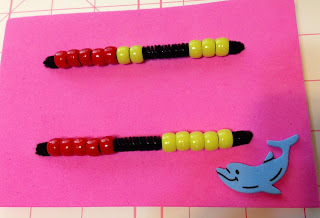 Anyway, here are the pictures and steps on how to make your own set of "Rekenrek" calculation racks. I would love to hear any suggestions for a cutesy name for these little beaded boards. So please leave me comments! 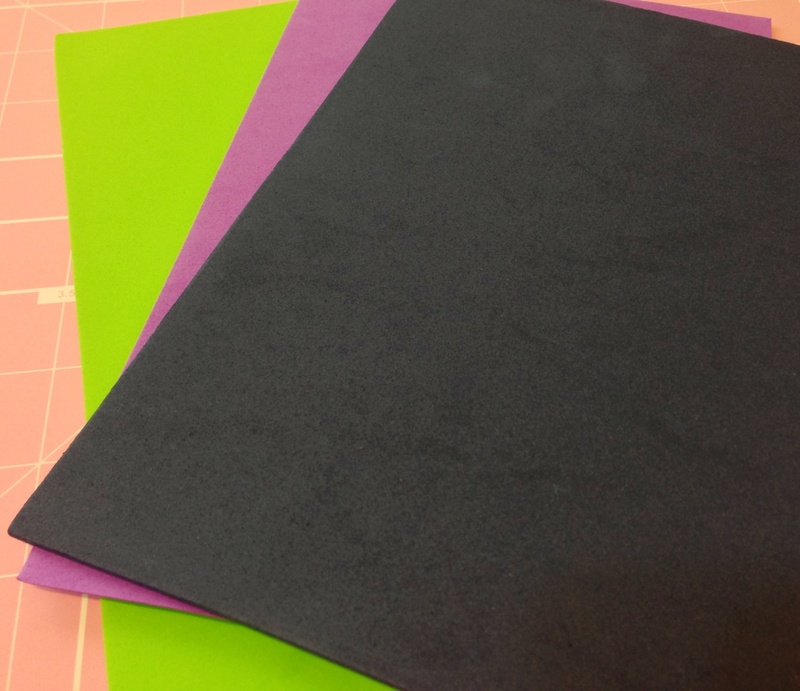 First, I bought some foam sheets from Michaels, and cut them down to 4" by 6". 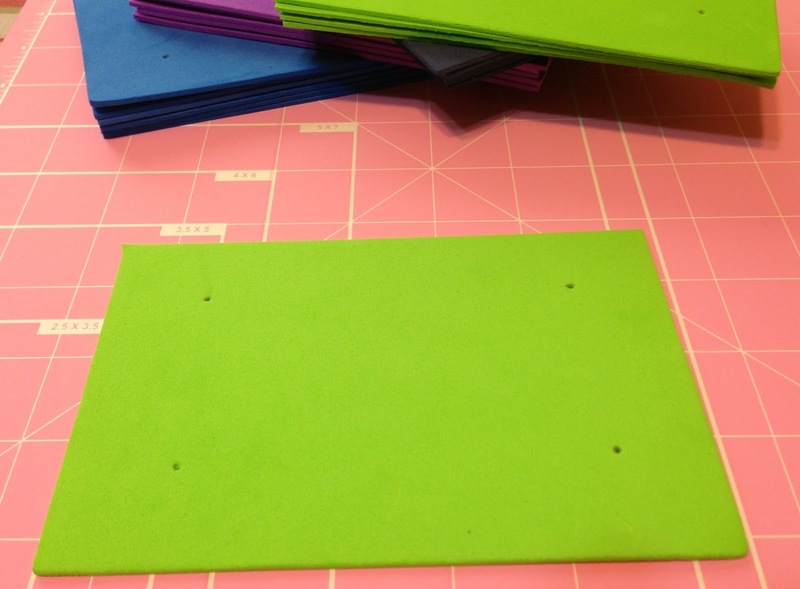 I used a pencil and a ruler to measure a rectangle that is about 1" away from the outside edges, and the two lines are about 1 1/2" away from each other. 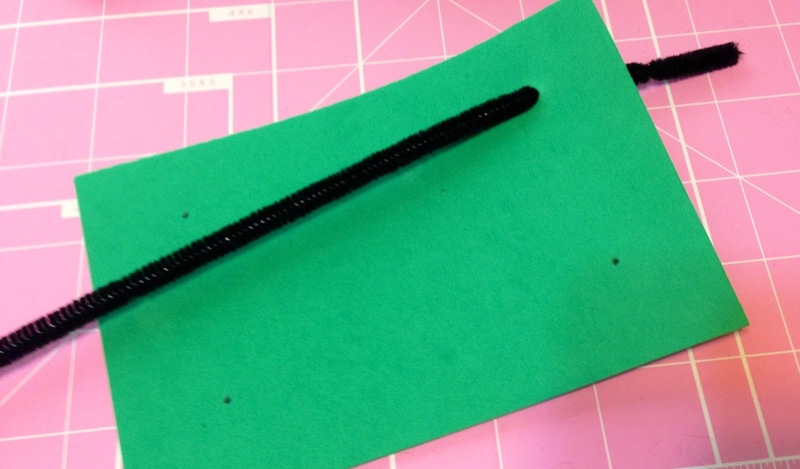 4 pencil dots in the corners, for the chenille stems to pass through. 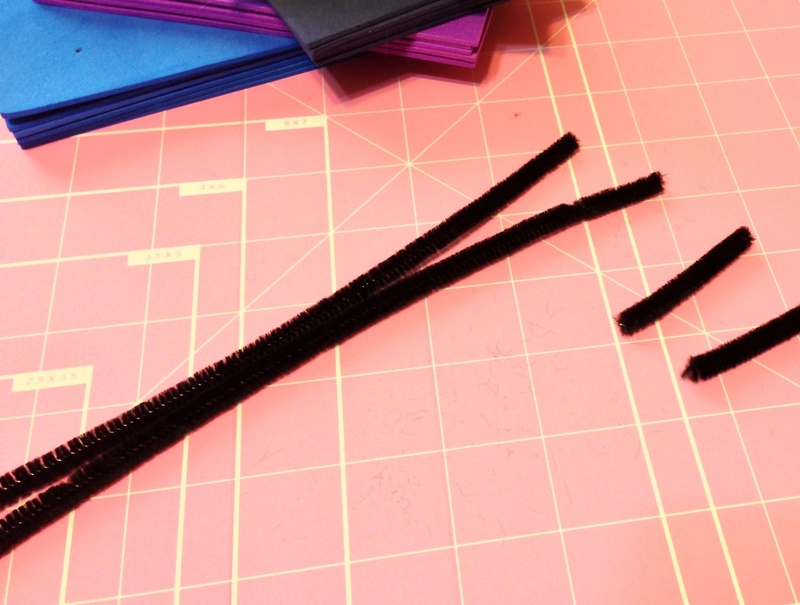 Then I cut about 1 1/2" off of the end of black chenille stems. I just poked them through the dots on the end, and bent them over about 2" worth. Thread the stem through, and bend it down on the back side of the foam board. 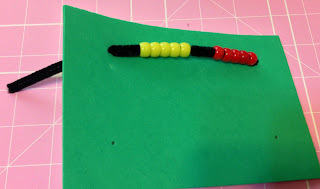 Thread the beads onto the chenille stems. 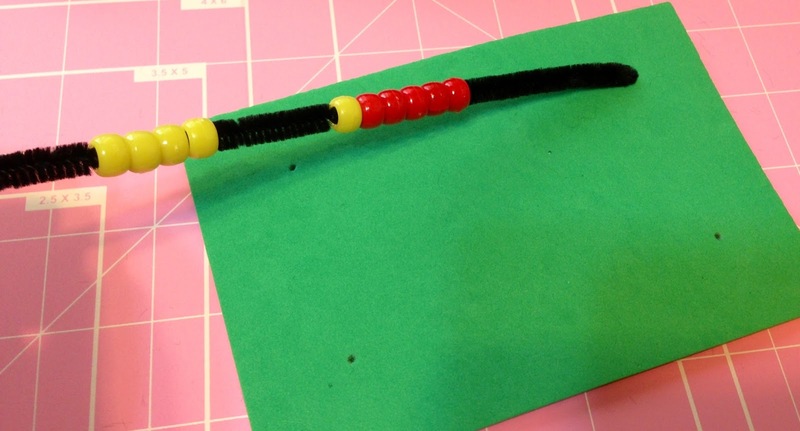 After you have the 10 beads on the stem, poke it through the dot on the other side. 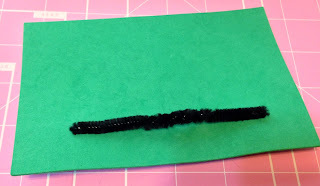 Poke the stem through the other dot, and bend it down on the back side of the foam. 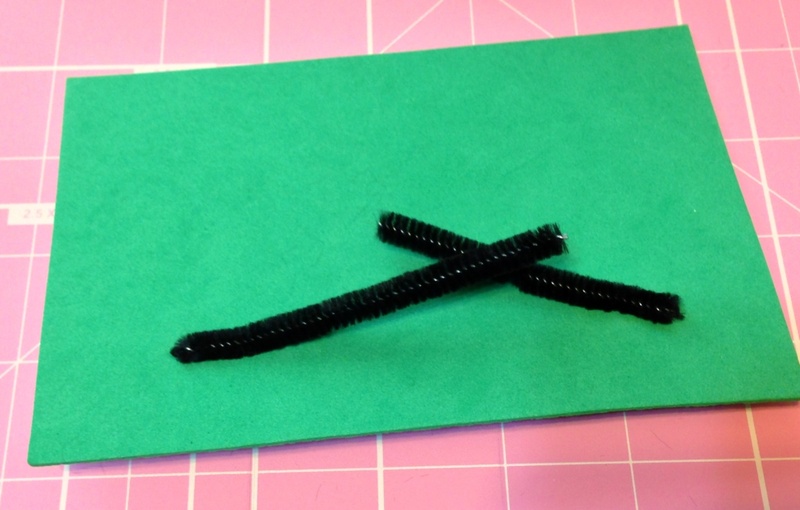 Finally, I twisted the two ends of the stems together and wrapped them around, so no ends would stick up. wrap them around each other, so they don't stick up. 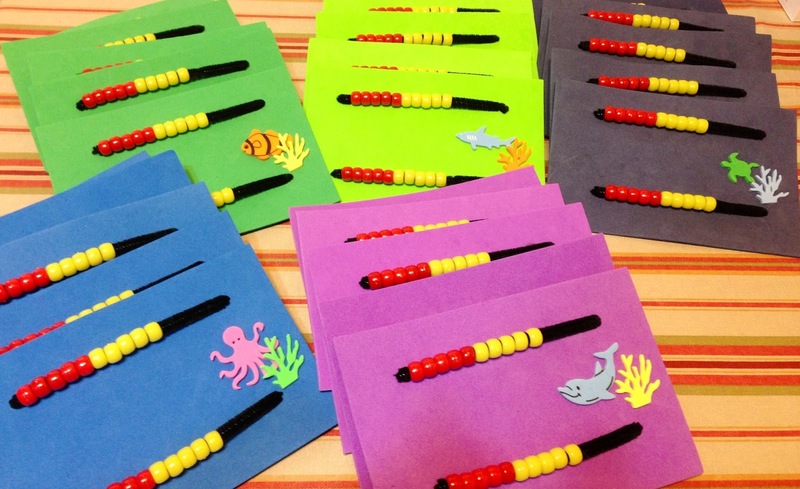 Of course, I had to make them cute, so I added some ocean stickers to go with my beach theme in my classroom.